As Kirsten Moore-Towers and Mike Marinaro look toward Canadian Nationals in Saint John, New Brunswick, they have one thing on their minds. Points. After failing to make the 2018 Olympic team for Team USA, Brown decided to make some big changes. Elizaveta "Liza" Tuktamysheva is off to a great start for 2018-2019 season. 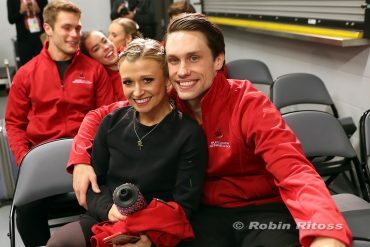 Madison Hubbell and Zachary Donohue have had a whirlwind of a year. They won their first U.S. Championships; came in fourth at the Olympic Games, just missing the podium; and completed their season by winning the silver medal at the World Championships.